Are you currently using your pizza boxes to promote your pizzeria? Don't underestimate the power of these advertising gems! Below I've shared a few tips from my upcoming article about box top promotions scheduled to appear in the April 2015 edition of PMQ Pizza Magazine. If you aren't currently a PMQ subscriber, sign up for free here. Your pizzeria delivers hundreds of pizza boxes each week to a captive audience. Let’s take a look at five easy ways you can deliver your marketing message at the same time. 1. Make it Sharable. Everything is shared on social media nowadays, so why not your pizza box? A plain white box has virtually no chance of being noticed, but what about a box with unusual colors, graphics or a call to action? Scott Wiener, author of Viva la Pizza! The Art of the Pizza Box, says that, on average, 2.5 people see each pizza box, so the more you can get them to keep or share their box, the better. 2. Make it Informative. With spam-flooded inboxes, your e-newsletters may make more sense on top of your pizza boxes. Pizza Zone in Spring, Texas, has been putting a newsletter called Box Topper News on its boxes for the past two years. Co-owner Debbie Gainor says that the topper, printed in black and white on bright colored paper, changes each month and showcases the Pizza of the Month, news, advertising, what's happening at the store, humor, and coupons. 3. Make it Valuable. Everyone wants to save money, so whenever you can include coupons or special offers on your boxes, the better. Some pizzerias even offer the chance to earn a free pizza by clipping a part of the box from each order and saving it until you reach 10 pizzas, according to Wiener. 4. Make it Photogenic. Ditch the typical red, white and green and opt for a pizza box that makes a statement with cool graphics and interesting colors. 5. Make it Interactive. 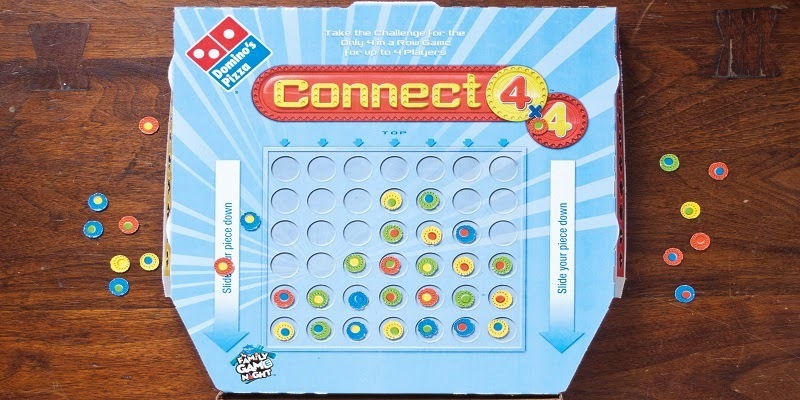 Making a pizza box interactive can be as simple as including a box topper with word search and crossword games on top, similar to the children’s placemats you used to get at restaurants when you were a kid. Paul Emm from Box Top Advertising runs a Scan-to-Win $500 Visa gift card contest on co-op box toppers. Once a pizzeria goes through 10,000 toppers, the names and emails of all the opt-in entrants are sent to the pizzeria to aid in future marketing--a great way to build an email database. How are you using your box toppers to promote your pizzeria? Watch for the full story with even more tips in the April issue of PMQ (free subscription here).